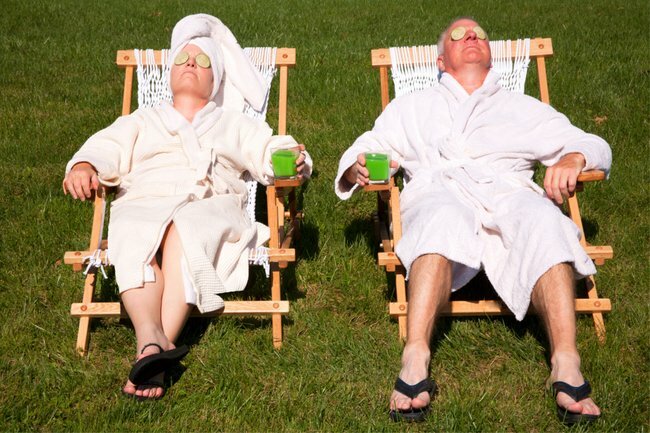 Banish Instagram holiday envy: Staycation ideas to make your break great. Banish Insta envy: Here's how to actually enjoy a staycation this summer. So, it’s summer. The sun is shining, everyone you know has left town for a break… And you’re at home. Or worse, at the office. We’ve all been there: You’re scrolling through your phone and everyone you know is posting pictures on Instagram of their summer getaway. They’re flaunting in on Instagram because duh, that’s what people do these days… But hey, you don’t need to be jealous. Even if you haven’t jetted off to a tropical island or driven a VW kombi van up the coast, you can still enjoy this wonderful time of the year. And maybe even post some great Insta posts yourself. 1. Explore your home like you would a holiday destination. Yes… It’s obvious, but this is good advice. It doesn’t have to be a museum or other hotspot you don’t usually have time to visit, but that is a good place to start. What about a walk you haven’t done or a market you haven’t visited since you were a kid? My favourite thing to do on a staycation is to climb a hill. It sounds… weird, I know, but I’m from a city surrounded by hills, and the top of each gives a whole new (beautiful) view of the city and its harbour. It’s also the windiest city in the world, so it’s always a laugh to battle against a southerly at the top. If you’re staying home this summer, is there a hill you can climb (or, you know, just drive up) to see your usual surroundings from a different perspective? There are other ways to get out of your usual surroundings without properly leaving. Maybe you could visit a cafe on the other side of the city, or go for a drive to the next town over. No matter how long you’ve lived in a place, there’s always something interesting if you look for it. 2. Have your house cleaned… By someone else. You’re saving money by not going on holiday, right? Why not put a little bit aside to pay for luxuries you won’t normally enjoy throughout the year… like a cleaner. One of the best things about going away is not doing housework or staying somewhere where someone else does it for you. I refuse to believe anyone actually enjoys cleaning, so give yourself a week off and hire a cleaner. They’ll have your home temporarily smelling like a hotel in no time. 3. Grab your picnic basket. Nothing says summer like a picnic. Fact. Even if you’re stuck at home you can grab a blanket, make an oversized cheeseboard and some snacks and enjoy a drink. Head to the park down the road or maybe even just dump everything down on the floor of your lounge. Whatever works – just make sure you really savour the cheese. No, no, I don’t mean a crappy key ring with your town or cities main landmark on it. This could be anything – did you really enjoy the cake you had at the cafe across town? Ask for the recipe. Did you drink your picnic bubbles out of old, chipped glasses? Buy sparkly new ones. You’re after anything that will make your time off that bit more enjoyable. 5. Remove your work accounts from your phone. Obviously this one will depend on the nature of your job, but if you can, temporarily delete your work email from your phone. These days, the lines between working hours and non-working hours are pretty blurry, especially if you can’t resist the temptation to check your emails before bed. If you’re in a familiar setting, it’s easy to remain tied to your work even if you’ve got a day off (or maybe just the evening!). If you use the Gmail app like me, you can temporarily turn off access to your work emails without having to delete the whole thing. It might be helpful to also delete, or at least turn off notifications from, other apps you use for work, like Slack or other communication tools. We always take lots of photos when we’re travelling – so why not take just as many when you’re at home? If you’re out and about, having a picnic or have just had your house meticulously cleaned by someone who is not you – that all deserves a spot on your phone’s camera roll. Or maybe even your Instagram feed.